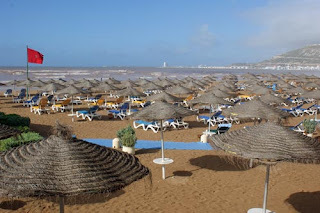 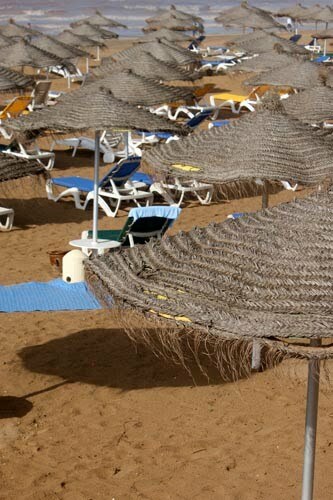 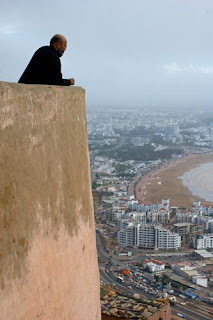 Agadir is a modern tourist town without the walled old city that typifies Moroccan towns due to an earthquake int eh 1960s that destroyed much of Agadir. The beach is the attraction for many, made even more attractive by the promenade that runs along side. 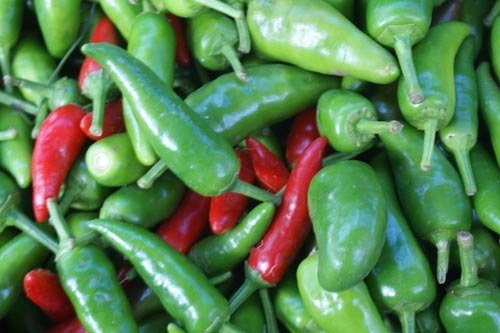 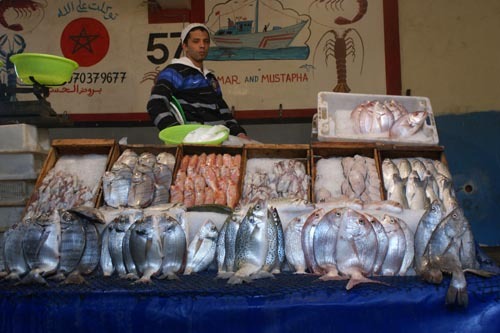 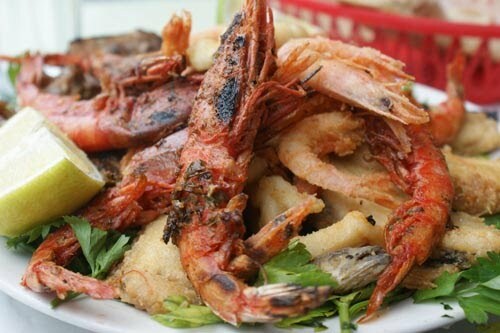 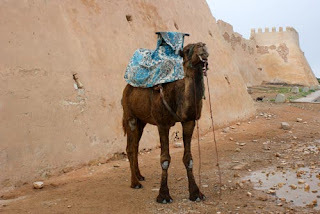 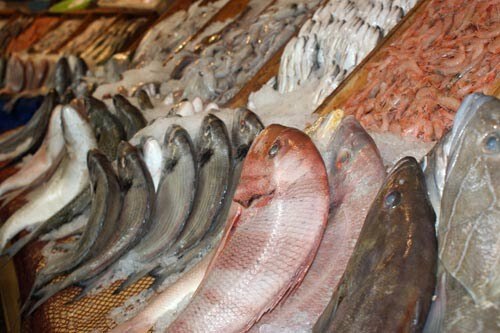 Other attractions are the souq with its pile of fresh fruit and vegetables, the kasbah and the fish market. 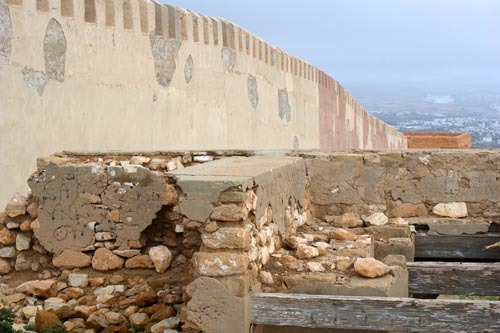 The latter two attractions are featured in previous posts. From Agadir's crumbling kasbah, there are excellent views across the harbour, beach and town especially if the weather is clear. 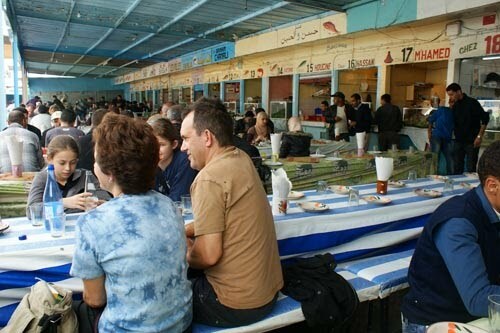 Not only is the fish market in Agadir a great place to buy fish, it is also a great place to eat them at the semi-outdoor stalls where the fish is freshly barbequed. 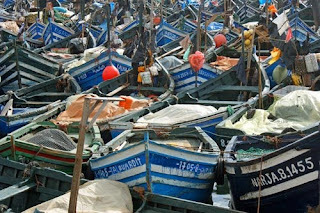 The boats used to catch some of the fish.